Featuring the Dodson floorplan, this brand new townhome offers 1,775 sq ft of maintenance free living in the desirable Derry Township. It will be move in ready July 2019. A covered front porch greets you into your spacious entryway. The oversized great room which is open to the kitchen and breakfast area is situated in the back of the home letting you live peacefully away from the street. The first floor is finished off by an oversized 2-car garage. The second floor features a private Owner's Retreat with oversized Walk-In closet and Owner's Bath with large double vanity. Other second floor features include two additional bedrooms with full bath, dedicated laundry room, and ample hall and bedroom closet space. This townhome comes with harbor painted maple cabinetry, granite countertops, stainless steel appliances, 9 ft ceilings, floor to ceiling windows, comfort height bathroom vanities and much more. 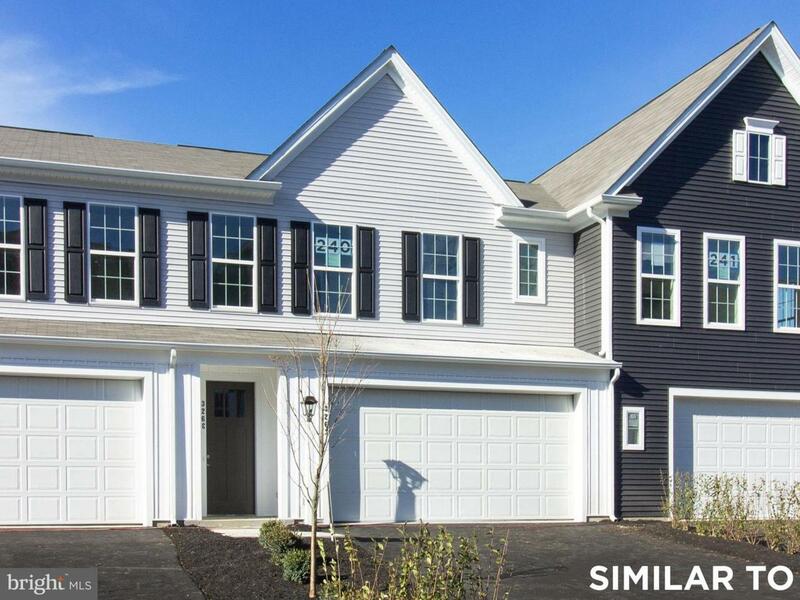 Located in The Point, a neighborhood just steps away from the walking trails and open space of Gelder Park in addition to being only one mile away from Route 283 and Route 322, making the commute to Lancaster and Harrisburg that much simpler. With premium outlet shopping, the popular Hersheypark theme park and the Hershey Bears professional hockey team, you won't be at a loss for things to do.